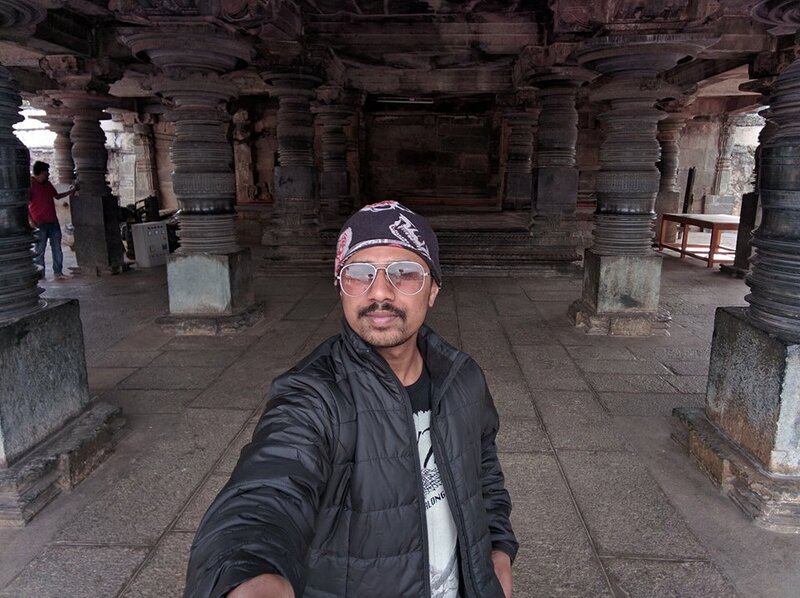 I am writing this travelogue from the memories that I had in mind and few memories I could recollect while gazing our trip photos of Mullayangiri ride and exploring Hoysala architecture. 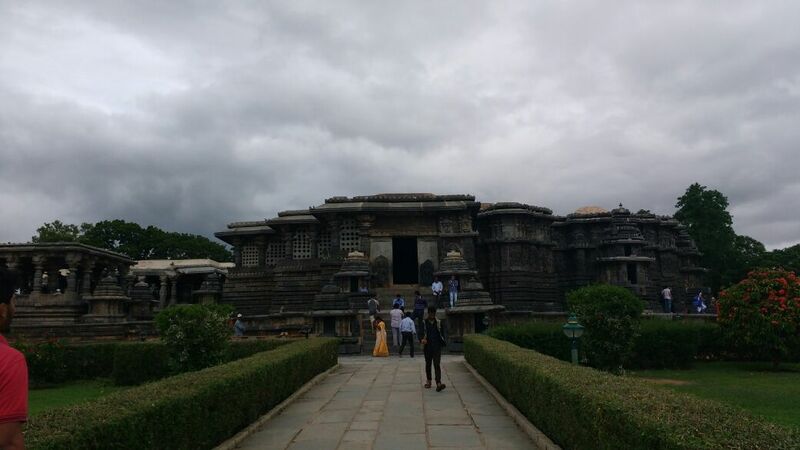 Places visited: Mullayangiri, Kemmanagundi, Kalahatti Falls, Belur Chennakeshava Temple and Halebidu Hoysaleshwara Temple. That’s the route travelled by us. 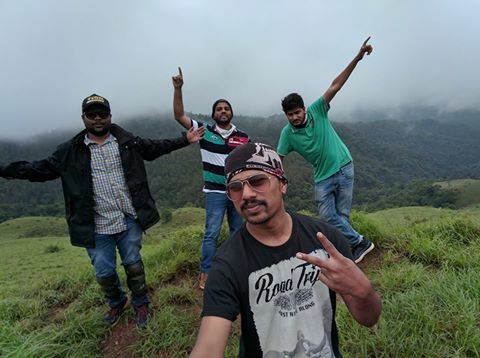 We came up with spontaneous plan of riding to Chikamagalur over a discussion across having dinner and hence no accomodation was pre-booked. 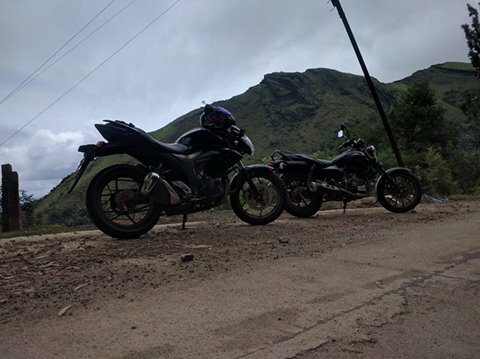 We started early at around 5am, fueled our bikes and we zoom onto the Bangalore – Hassan Highway, stopping over for tea at a toll plaza near Kunigal and followed by the breakfast at Udayapura, the hotel besides A2B. One among the best known hotel for Idli Wada on this stretch. 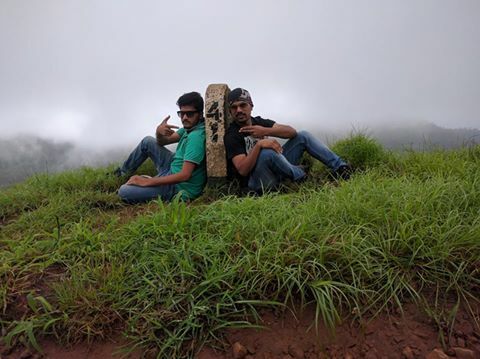 Soon we reached the town of Chikamagalur. As this trip was a sudden plan, we had no hotels or accommodation booked in advance. 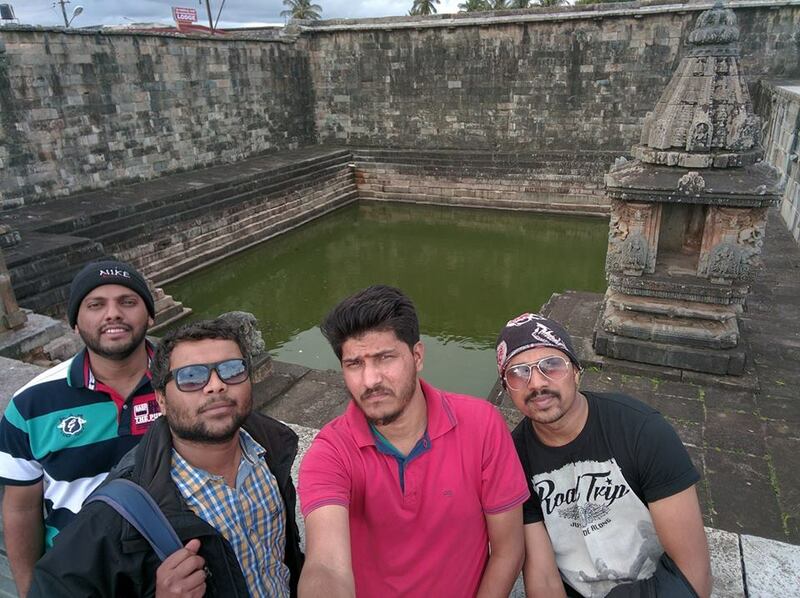 We wanted to make this trip a budgeted one, we split into 2 each and started enquiring for hotels or lodges for stay. Post enquiring with a few of the hotels nearby the main bus stand, we checked into HRS Lodge, a mere decent lodge for bachelors. 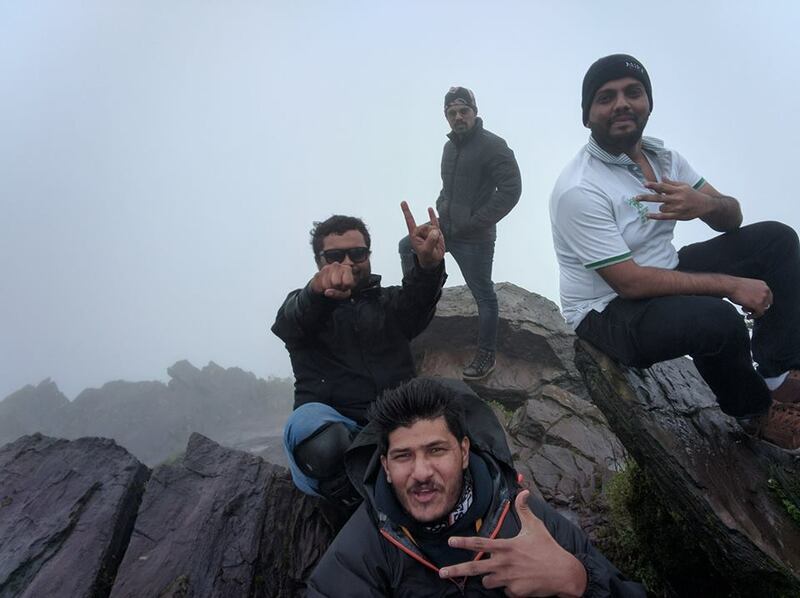 Post a small nap for a couple of hours and lunch which we had from a nearby hotel, we headed towards the highest Mountain Peak in Karnataka, Mullayangiri. As we were near to the forest checkpost, it started to rain heavily. We quickly wore the rain jackets and started riding the uphill. The roads passed through thick forests and coffee estates all around. 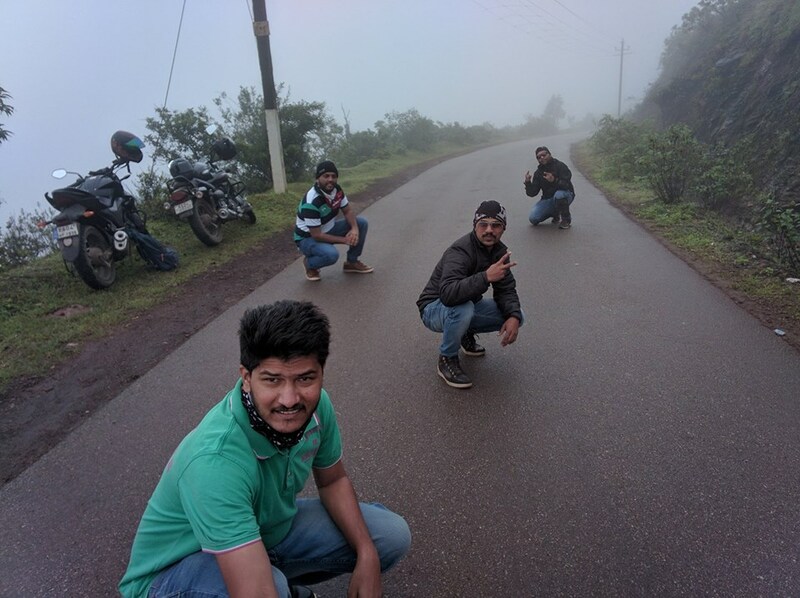 Riding through the dense fog, heavy rains, few off roaders and soon we reached Mullayanagiri. We had to climb few steps to reach the temple atop the hill. 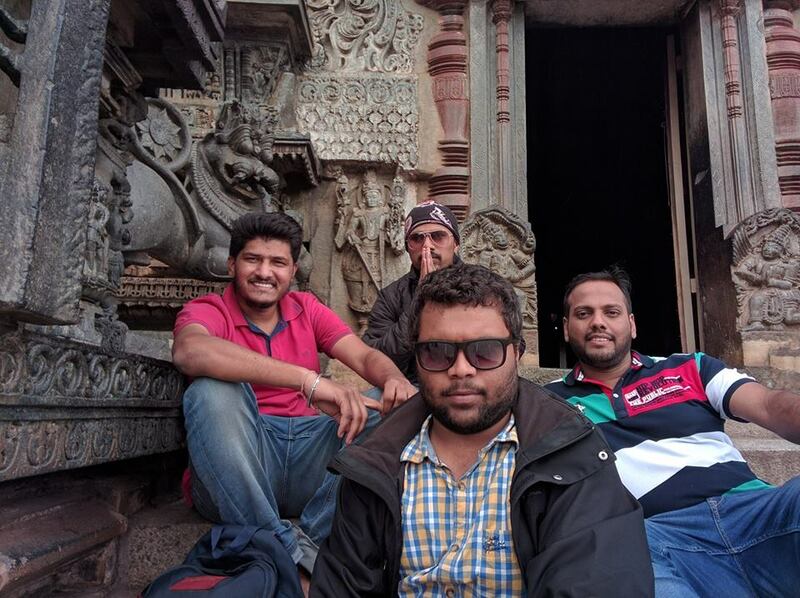 Post a small photo session, we descended down the steps to have some garma garam bhajji and tea and then we rode downhill to get back to the hotel. 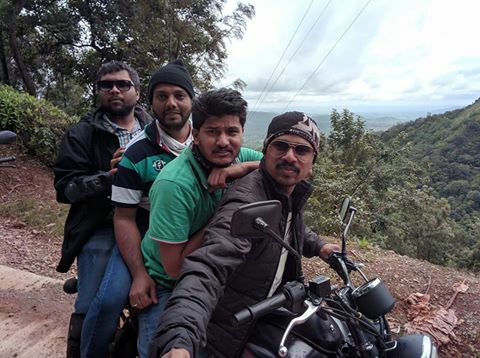 That was a very pleasant ride to the Highest Peak in Karnataka. We started our journey as soon the first light of the Sun was visible. A quick breakfast we had at the roadside hotel and then crossed the forest checkpost. 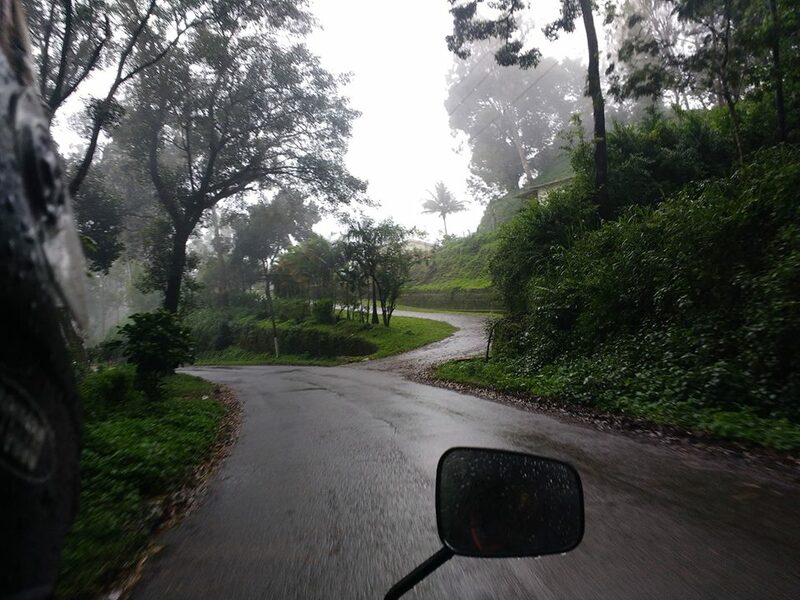 Riding through the scenic beauty all with lush greenery all around was just fabulous. We stopped by at a small waterfalls enroute and soon we entered the crazy forest off roader. 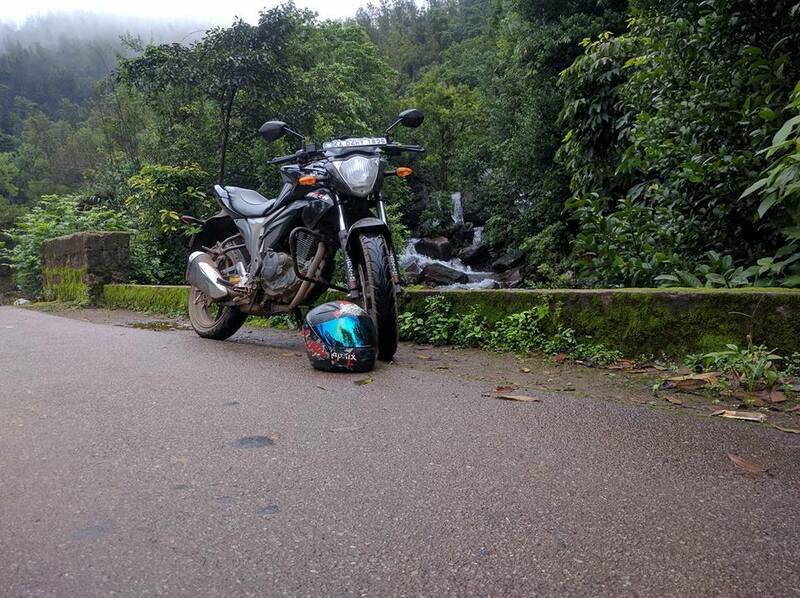 As we rode through the forests, we could witness many of those small waterfalls and streams around, and the waterlogs on those muddy roads making the journey one hell of a ride. At a point where we sensed that the water level was high and the muddy water pond was slightly lengthy. Looking at the length and the depth of the waterlog we returned back until we saw a small compact SUV coming our way. We stopped only to see the car pass the water pond so that we could actually judge the water levels then ride through judging the tire lane. Once the car passed through, we said, “Hell, lets ride” and we rode across the waterlog. That was the only waterlog we stopped before crossing, post this; we didn’t think twice to ride to any of the waterlogs that came ahead in our way. 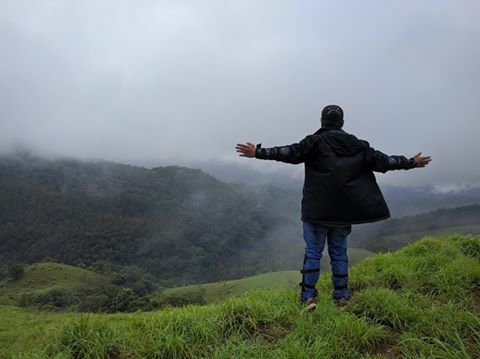 As we passed through the forest route, we were welcomed by the beautiful greenery all over and we reached Kemmanagundi. That was one heck of a ride. We couldn’t make it to the Hebbe falls, as the only mode of transport to the falls was the forest jeep and would require 4-5 hours of time. 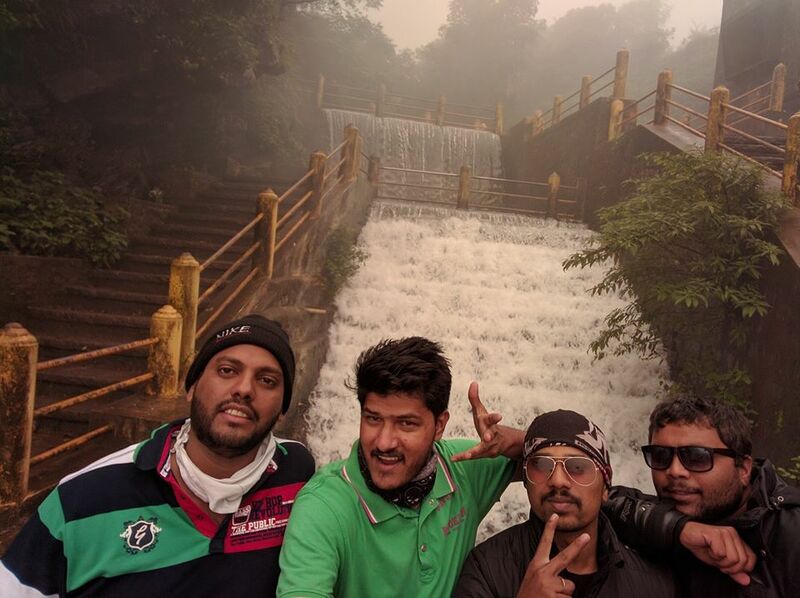 We enquired with few locals there, if any route that leads to Chikamagalur with good roads. One of the locals suggested to take the road via Lingadahalli and reach to Chikamagalur. 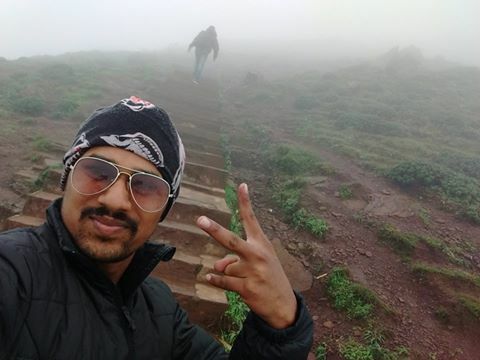 Upon reaching a small temple and falls “Kalahatti”, Ajay and Anil went trekking, the trek was to be done bare foot as the route is from the temple itself. I trekked for a few metres and a thorn struck my feet and came back and Dilip and I waited nearby the temple. The road Lingadahalli was superb, we barely found vehicles on this road. 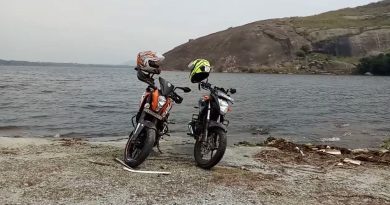 Riding those twisties and ghats was crazy. We Loved riding on that road. 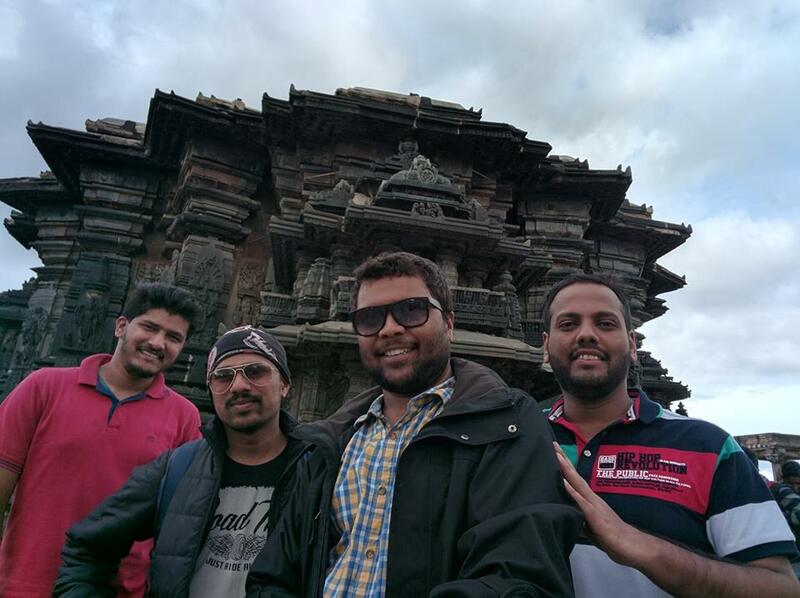 Upon reaching Chikamagalur, we checked out from the hotel and we rode to Belur. 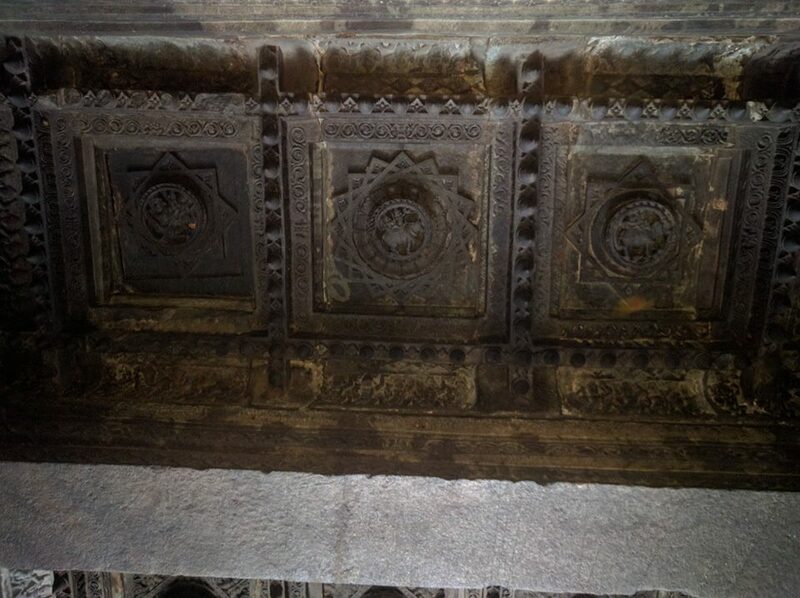 I had read about the Hoysala Empire back in school history classes. Never got a chance to explore the history back then. 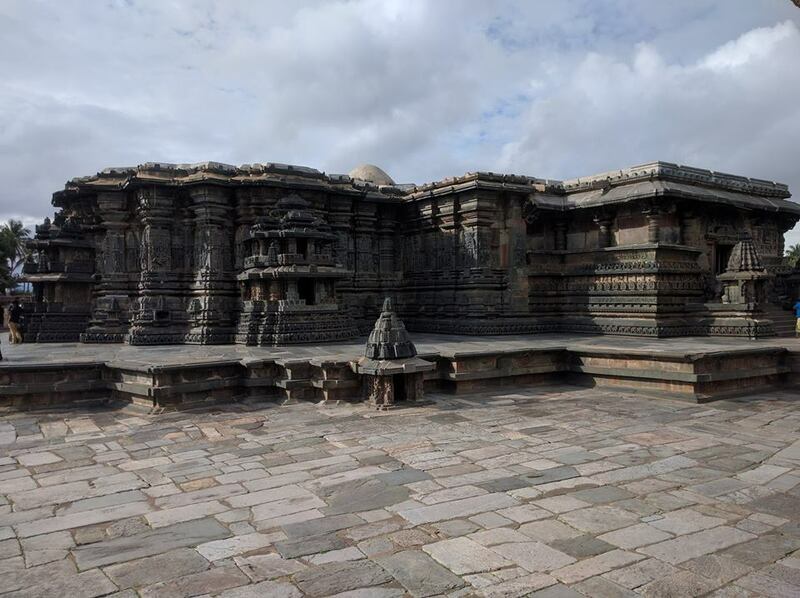 Belur, which is known for the historic Chennakeshava Temple and was the capital city of the then Hoysala Dynasty; had one of the finest architecture and stone carvings being preserved neatly and cleanly even today. 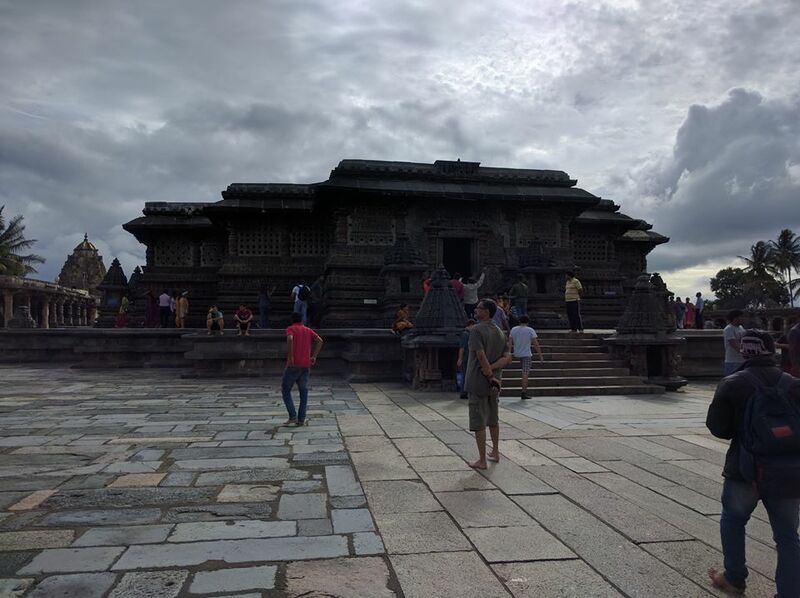 Post a quality time gazing through the architectures of Belur, we headed to Halebidu which is only 15kms away from Belur. 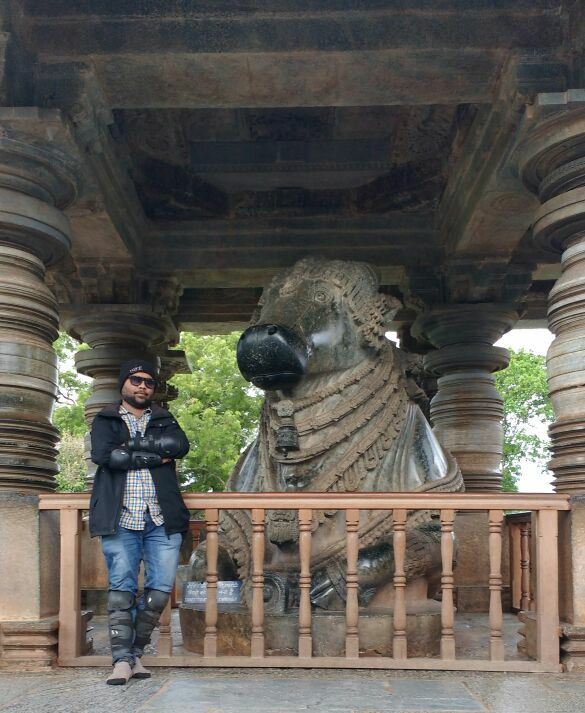 Inside the temple campus of Halebidu, there are 2 monolith (single stone) Nandi Statues. From a Tour guide there; we got to know that there are 12 Monolith Nandi Statues in India and most are in the Southern Indian States. 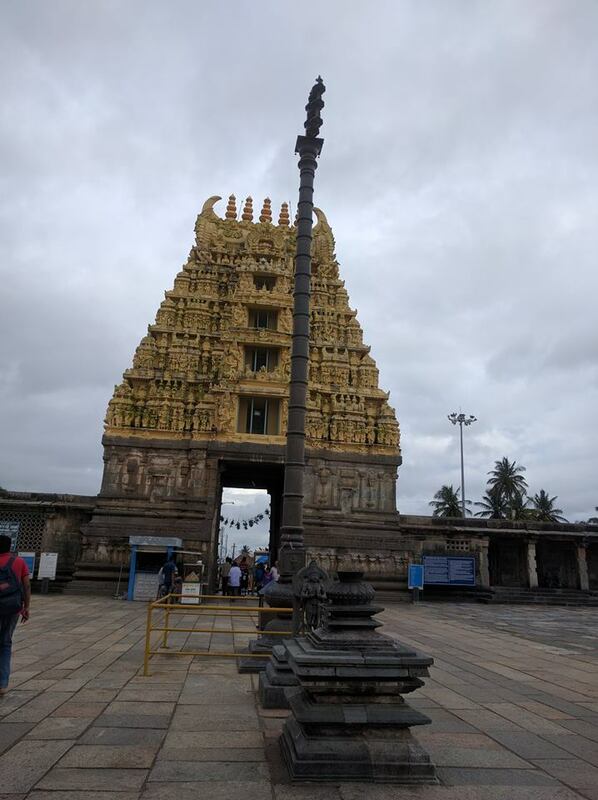 While riding back to Bangalore, a saw a Karnataka Tourism Direction Board for “Belavadi Temple” and apparently we couldn’t go there due to time constraints, hopefully will cover it next time I ride that side. 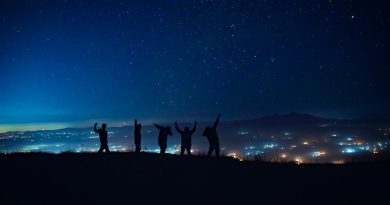 We all reached home with lots of memories, I had only read about those historical temples and architecture back in school days, the only classes which I attended keenly were the history and geography classes. My thoughts are: Whatever was studied in the closed walls of the schools during the history and geography classes, should be explored one by one. “It all started as a dream” rather the day dreaming during those school days. 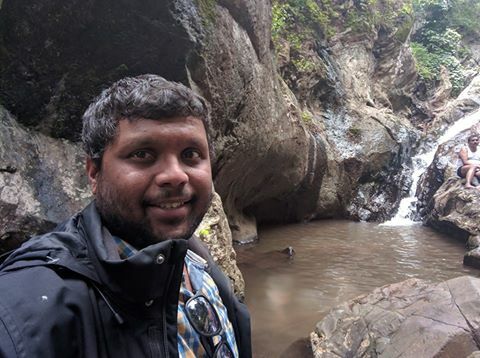 It’s now that I have started executing my travel dreams, still a long way to go, lots many places to be explored, lots many crazy travel stories to be shared, stay tuned until I blog my next travel story. 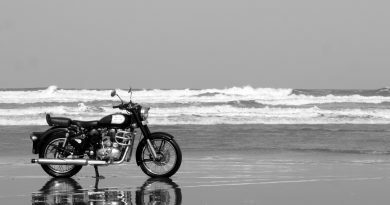 Keep riding, keep exploring. Cheers!